Ecstasy...empathy...openness...peace...compassion...acceptance...being...forgiveness...healing...rebirth...unity...emotional bonding...caring...celebration...these are some of the terms and phrases people use to describe their experiences with a new class of substances, of which MDMA ("Adam" or XTC") has become the best known. These drugs have attracted favorable attention from a number of psychotherapists, who regard them as reliable facilitators of therapeutic insight and change. Teachers and practitioners of meditation describe the experience as being fundamentally an opening of the heart-center. Awareness expands to include all parts of the body, all aspects of mind, and the "higher" reaches of Self, or Spirit. 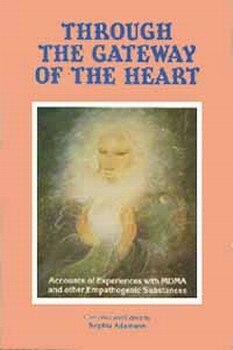 Many of the individuals whose experiences are recounted in this volume expressed the wish and hope that given the gravity of the planetary crisis in which we find ourselves, potential aids to the evolution of consciousness such as these substances will be thoroughly explored, and applied to the solution of the immense human problems that confront us.